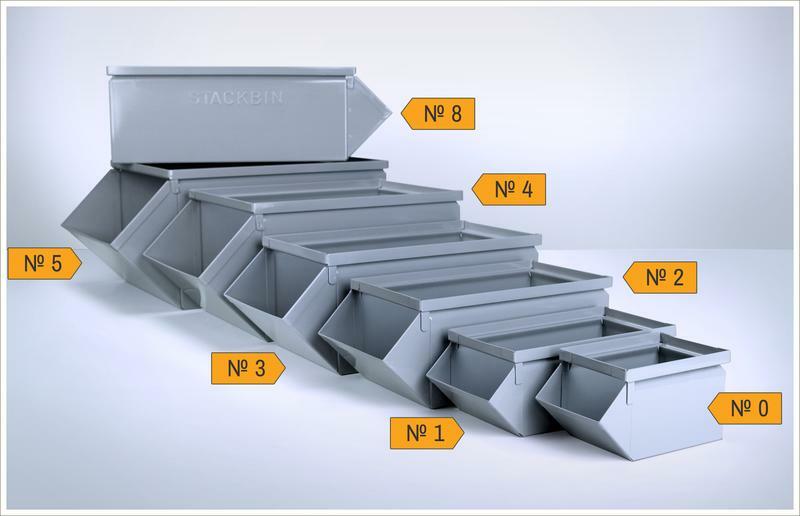 Stackbin®, stackable steel hopper front storage bins, the original product line started in 1931 and still proudly manufactured in the USA. The only issue we've found with these products over the years is that they don't fail! We still see Stackbins sold in the 30's being used today. With their all-welded heavy gauge steel construction, full-flow hopper front and smooth interior, these bins are designed to support any weight that can fit within the cube of the container. Steel Stackbins are also compliant with current fire-code regulations and better suited than plastic as they are very resilient under extreme temperatures. *Note: when stacking bins, please check the stacking capacity for the configuration you are using.